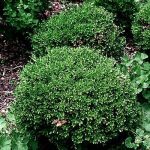 Versatile, dense-growing evergreen shrub with very refined, dark green, half inch oval leaves that maintain their rich coloration throughout winter. Matures at 4 to 6 feet tall and wide. 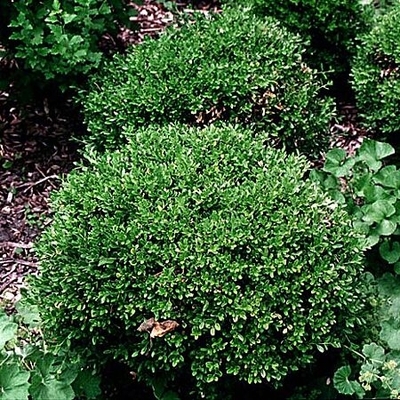 Excellent for mass plantings, as an individual specimen, or formal hedges.